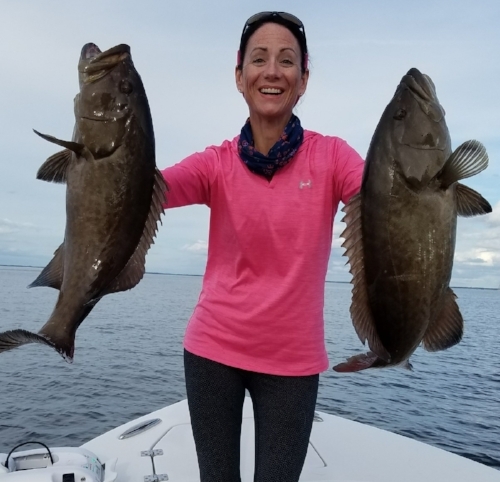 About Us — Yankeetown Fishing Charters, LLC. Went out twice with Captain John in early 2017. First few days we went after Sheepshead and other good eating fish. Caught more than enough for dinners and to bring some home. John put us right on the fish and his boat was awesome for going off shore. We also did some Tarpon fishing which is why I came back the second time. While I didn’t catch a tarpon on the first trip, my wife did measuring 70”. So when the opportunity came in the Spring to go back, I didn’t hesitate. John had us in the fish the whole time with multiple takes and a good hook up. So good that after 2 hours and 45 minutes the fish finally found something to snag up on. Marketing and Design by OTM.